Back in early May, we wrote about the slew of new notebooks announced by HP. Some lines received bigger updates than others, but one of my favorites of the bunch was the Envy 14. Set to replace the end-of-life Envy 13, the new Envy notebooks clearly take their visual cues from Apple's MacBook Pro line. The new Envys are not only slick and pretty, but sport some pretty great hardware. Though the entry price of $1,099 for the 14-inch model is a little hard to swallow in a market where everyone wants a $599 notebook that does everything, it's worth noting that you get a lot more bang for the buck,hardware-wise, than a comparable MacBook Pro. Consider that the 13" MacBook Pro starts at $1,199. For that extra $100, you get a similar CPU (2.4 GHz Core 2 Duo compared to the 2.4 GHz Core i3-370M in the Envy 14), equal RAM (4GB), a smaller hard drive (250GB vs. 320GB), and quite inferior graphics (GeForce 320M with 256MB of shared memory vs. Mobility Radeon 5650 with 1GB dedicated graphics memory). Oh, and the Envy has a higher-res screen as well (1600x900 vs. 1280x800), but then again, it's a little bit bigger. Choose enough upgrades to boost the price to the next-best MacBook Pro (the $1,499 13-inch model) and the difference in specs tilts even more heavily in the Envy 14's favor. Of course, a good laptop is more than the sum of its hardware specs, and we haven't had a chance to review the Envy 14 just yet. We're anxious to put it through its paces and you'll see a review here as soon as we can. 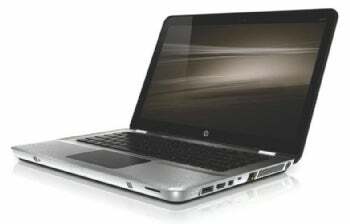 If you want to jump in before our review, you can order an Envy 14 from the HP store.